Intrigued by Mastodon, a new open-source alternative to Twitter that has fine-grained privacy controls. Sean Bonner took a closer look at Mastodon's currents pros and cons. 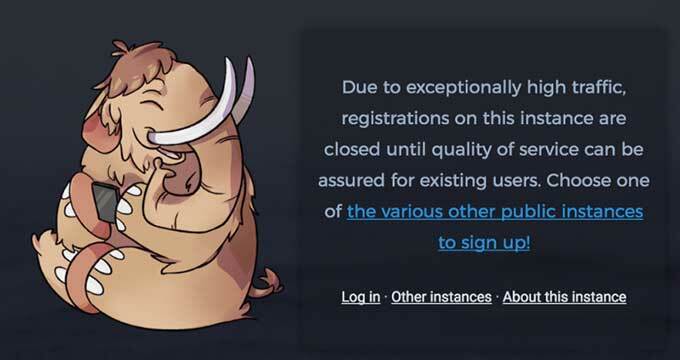 This is the best article I've read about Mastodon. I’d assumed that upon joining I could tell people “I’m @seanbonner on Mastodon just like I’m @seanbonner on Twitter.” That turns out to be incorrect. I’m actually @seanbonner@mastodon.xyz and if I want to be @seanbonner@mastodon.social or @seanbonner@mastodon.cloud or any of the other instances then I have to create separate accounts on each of those, and there is no way to sync them. This also means that some other Sean Bonner can go sign up as @seanbonner@anothermastodon.instance and judging by how much email I get from other Sean Bonner’s who apply for jobs and join dating sites and register bank accounts without knowing what their own email address is, that is going to be a huge problem at any kind of scale. This is the biggest flaw in my opinion because without the ability to claim your identity across an entire service there is huge potential for confusion and no way to embrace it as a home. I'm frauenfelder at Mastodon.cloud. I'm enjoying it so far!